We’ve had another successful Fairtrade Fortnight with many local schools and churches doing a roaring trade on dedicated stalls. The main push of the event being to encourage people to swap their cuppa for a fair trade cuppa, many of these stalls took the form of a coffee morning or tea party. Tea and biscuits were flying from our shelves and we could barely keep up! 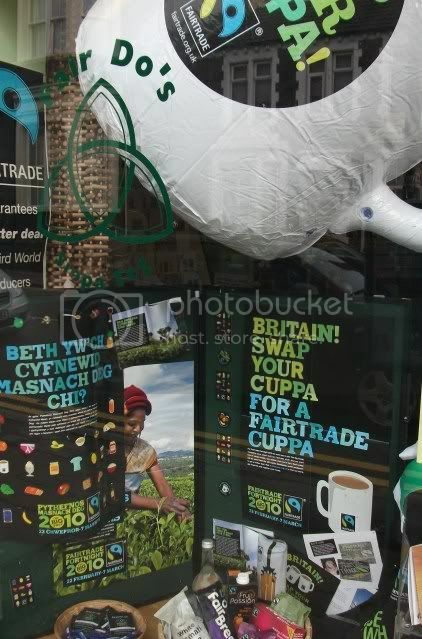 Of course, many people already buy fairtrade tea or coffee in their weekly shop so we also encouraged them to swap another item. At the tea dance held by the Fairtrade Foundation in St David’s shopping centre, we had several interesting conversations with people who were surprised at the range of fairtrade products avilable – not just bananas, chocolate and coffee! The highlight of the fortnight for Fair Do’s was the visit from the olive producers working for Zaytoun. 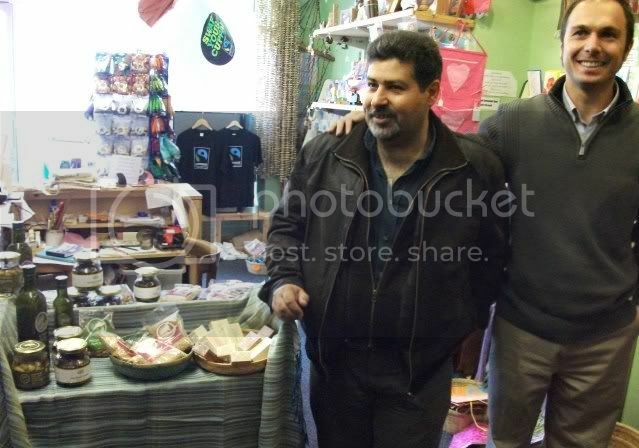 Thomas Cazalis and Haitham Hasasneh spoke to a small but captivated audience in our shop on 2nd March about the challenges of producing olive oil and other products from Palestine. After this, they headed to Chapter Arts Centre for an olive tasting. Haitham had earlier commented that they were passionate about the quality of their products – somebody could buy olive oil once out of solidarity but if they didn’t like the taste they wouldn’t buy a second time. 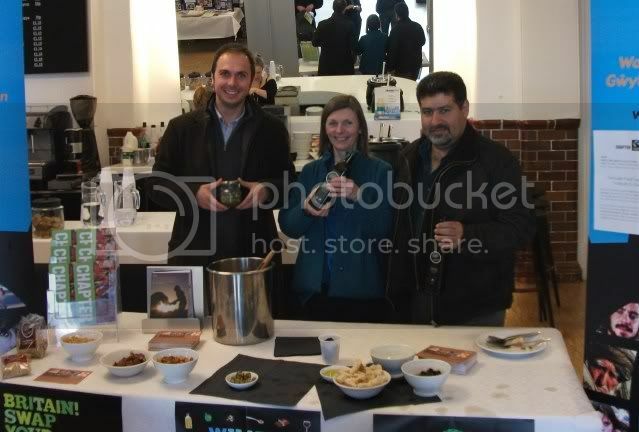 The tasting certainly proved that their efforts have paid off and the olive oil is delicious! Thank you to everyone who has supported us during Fairtrade Fortnight and to those who have pledged to swap an item – you are making a real difference!